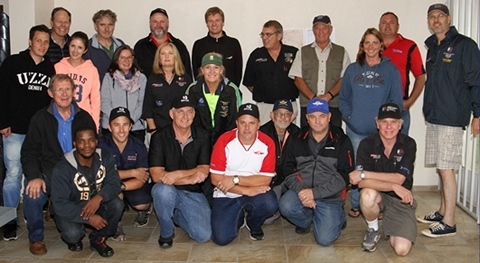 The South African Power Flying Association (SAPFA) together with the Springs (East Rand ) Flying Club organised a Navigation Fun Rally on Saturday 25th November 2017. 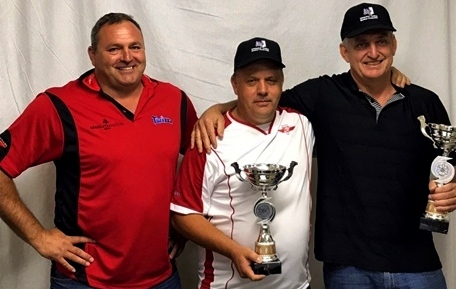 The Springs Club had a call out to challenge the Secunda and Ermerlo Clubs for the top honour of being the Club Champions to end off 2017. Watching the weather predictions coming up for Saturday was showing possible interference, but as the day got closer the likelihood of having good morning weather at least was good. rally. Out of the 13 entrants, 3 were in the unlimited class, being current Protea teams. 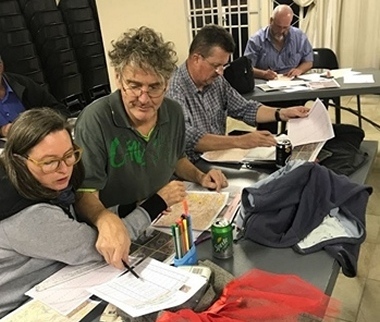 On Friday evening Jonty provided a training course for club members and other new budding rally pilots, where they all were able to plot the next day's course. 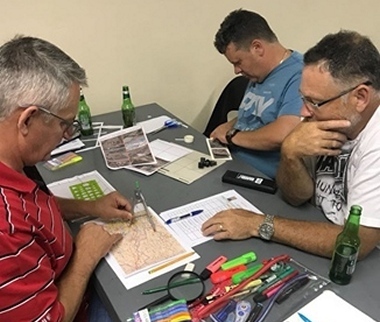 In the fun rally rules, each turning point has a 15 second window to cross over to attain zero penalty points with a mile wide gate to go through, and along the route around 14 photographs had to be recognised and located on the map. The unlimited class has a 5 second windows and a half mile wide gate. 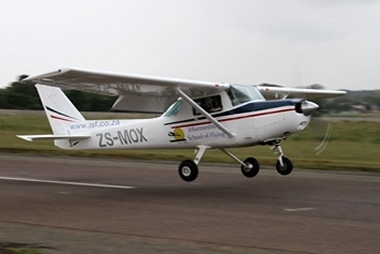 The weather was good for flying when the first competitors took off with minimal turbulence, the cloud base at around 6500 ft, and very good visibility, the wind was however around 10 - 15 kts westerly which was challenging to maintain constant speed in the east / west directions. 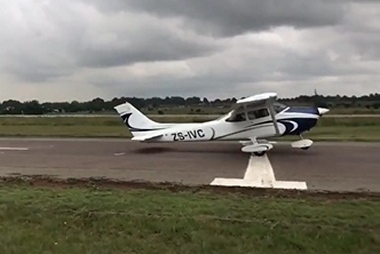 After returning to the field, joining on final approach for Runway 03 a spot landing had to be carried out with lines fairly close to the centre of the field, the unlimited teams making real good scores in the worsening weather and approaching rain. 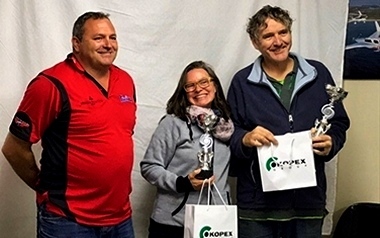 After all the scores were tallied, the prize-giving ceremony was held inside the clubhouse, where the first three places and prizes went to Johan van Eeden and Cor Esterhuizen who were in 1st place with a total of 62 penalty points. 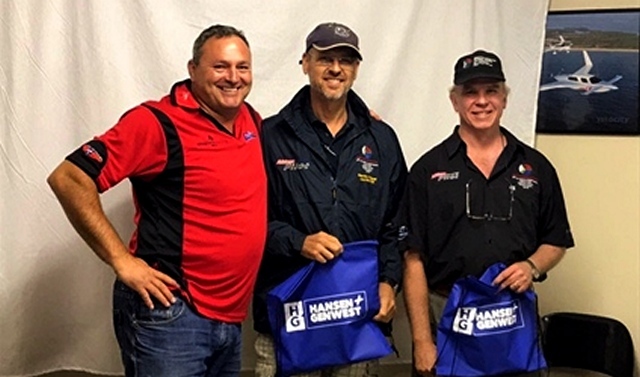 James and Nicola du Preez were in 2nd place with 512 penalty points and David Ross and James Braid were in 3rd place with 837 penalty points. The first place team finished with a really good score, and should start taking part in the Advanced / Unlimited class to aim for qualifying for the National team, as they have been consistent with good scores at previous rallies. They also took home the Club Trophy Prize. 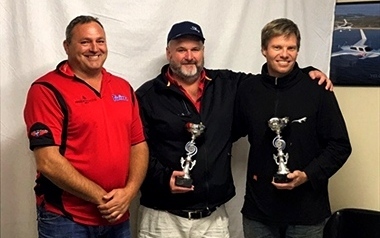 In the Unlimited Class, Rob Jonkers and Martin Meyer placed first with 288 penalty points, Thys vd Merwe and Mary de Klerk in 2nd place with 769 penalty points and Frank and Cally Eckard in 3rd place with 953 penalty points. 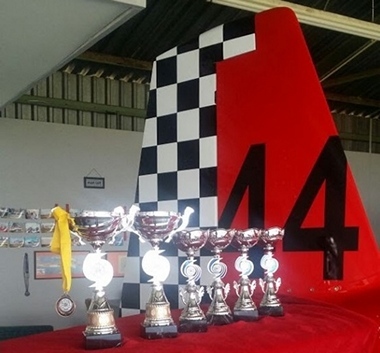 This event was for sure enjoyed by all, some entrants never having flown a rally before, getting an understanding of flying with more precision, especially in the slower flight regime, as well as getting accuracy in landing within a few metres. 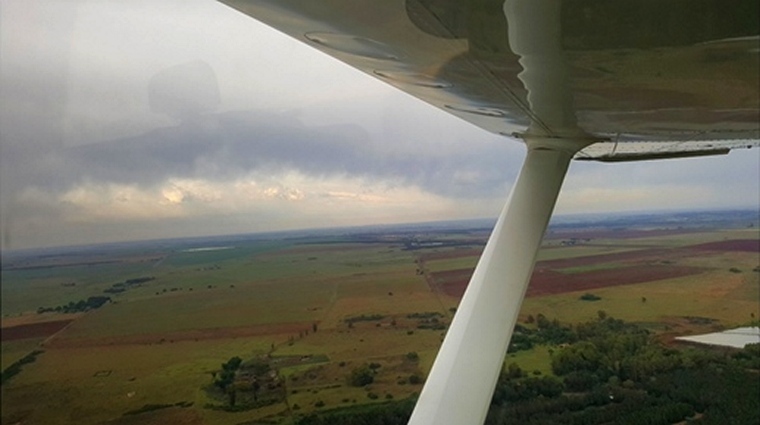 We look forward to Springs Flying Club organising a rally again next year, and gathering more clubs in the region to take part, and choose a better weather day�.